Eddy Faulkner started songwriting in 2008 and in 2009 composed music to the songs. 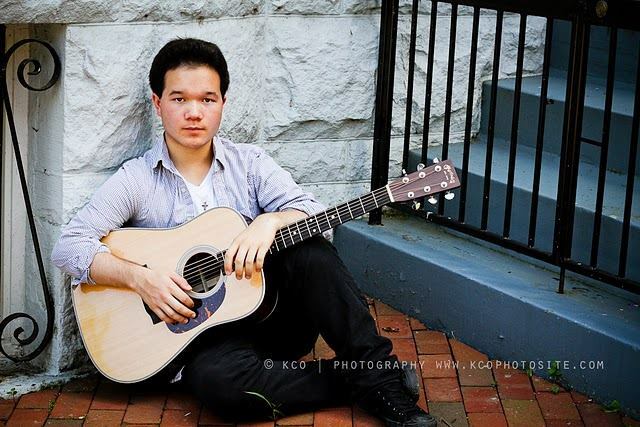 In 2010 Eddy started his solo career of a singer/songwriter, folk, acoustic, rock and even blues/funk feel to the songs. It was about personal experiences, life, love, and all of things that everyone can relate too. Eddy's main influence was John Mayer back then, and also other great artists such as Eric Clapton, BB King, Jason Mraz, and others. At the start of 2012 Eddy started to gain influence from other areas of music such as Top 40, Pop Rock, and Rock music moving away from his original singer/songwriter and in other words nowadays more alternative feel. He started to move towards more of a mainstream feel finding his voice fitted actually better with the new songs. Since 2010, Eddy continued to expand his songwriting, singing, and instrument technique and always trying something new while evolving. Eddy's mission since starting his career has always been to create music that is universal both sonically and lyrically. Eddy's music does not fit into one genre, but instead crossover into many different genres. In the summer in 2013 Eddy wrote a song called "I Won't Give Up" which turned out to be his first release through Premier in 2014. The reception from "I Won't Give Up" was received enthusiastically by the masses with personal messages to Eddy about how it changed their lives, and even saved some of their lives just from the words. "I Won't Give Up" has since climbed the National Radio Airplay Charts. It proves that people not only enjoy the song, but they get it. Eddy love making music and I wants to keep making music that everyone around the world can enjoy and relate to. In the company of artists like Taylor Swift, Burno Mars, Justin Timberlake and Katy Perry, Eddy Faulkner is holding his own with his new single "I Won't Give Up" which was released globally on March 25th by Premier Records. From the very first week of airplay, Faulkner's single debuted on the National Top 200 Airplay Chart at #186 and has continued to it's climb in the last few weeks to it's current position at # 66 passing artists such as Maroon 5, Kelly Clarkson, Beyonce and others on it's way to the top. Eddy Faulkner was signed by Premier Records last November with his first single "O Holy Night", an original version of the classic holiday song. Faulkners new release "I Won't Give up", is a great example of a Pop and Adult Contemporary song that is being played by major market FM radio stations throughout the country. You can download Eddy Faulkner's new single directly from the Premier Records online store at http://premier-recordsinc.com/139867.php and on iTunes and over 750 music download sites in 100 countries.